LMS Website Services Inc focus's on local SEO services. Small business website design is our forte so we focus on local search engine optimization. Our clients want to be found locally so we design our SEO services to reflect that reality. Marketing of your website is crucial to being found on organic search results and should be an ongoing strategy. Without promotion of your website, chances are you will never be shown by Google to any online searchers. Google will see your website as a low quality site and they will serve up better optimized websites. Online SEO marketing can be a relatively inexpensive method to drive new customers to your company. As our efforts build upon themselves, our managed websites will grow in relativity and importance and rise to the top of the Google rankings. Internet marketing is critical to being found on the Internet. Having a website is not enough. We know of so many small business owners that complain to us that they have a website but aren't getting found on the Internet and hence, don't derive any business from their website. LMS Website Services knows how important it is to be found locally. If your website can't be found, you won't get any new business from it. We concentrate on Google+Local, organic search results (with a local bias) and other social media aspects to drive your business website to the top of Google's organic rankings. 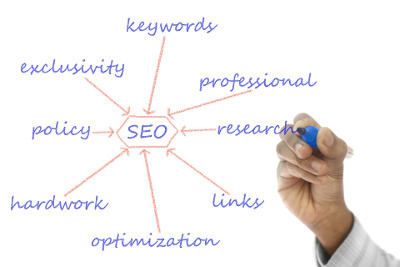 We combine different methods in our SEO marketing plans to generate top rankings from Google. Blogs, on page SEO, optimized page tags, header tags, description tags and so much more. See our Website Design Plans here!